Amit Bhatia is CEO of GSG or the Global Steering Group for Impact Investment since April 2017. 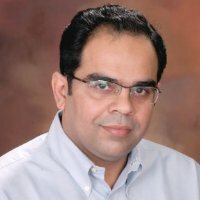 Prior to GSG, Amit was Founding CEO of India’s Impact Investors Council (www.iiic.in) from 2014 to 2016, when impact investments grew from $400 million in 2013 to $1 billion in 2015. Amit is Founder of Aspire, the John P. McNulty Prize winning social enterprise in Education & Training (www.aspireindia.org). Since 2007, Aspire has trained over 65,000 students across 100+ institutions, 51 cities and 18 Indian states. He is also Founder of Aspire Circle (www.aspirecircle.org), which promotes social leadership and has 125 eminent Fellows.